The monastery dates to the 7th century. Its current changed from San Sebastián de Silo to Santo Domingo when Abbot Domingo took over the renovation of the abbey under Fernando the Great, the King of Castile and León. 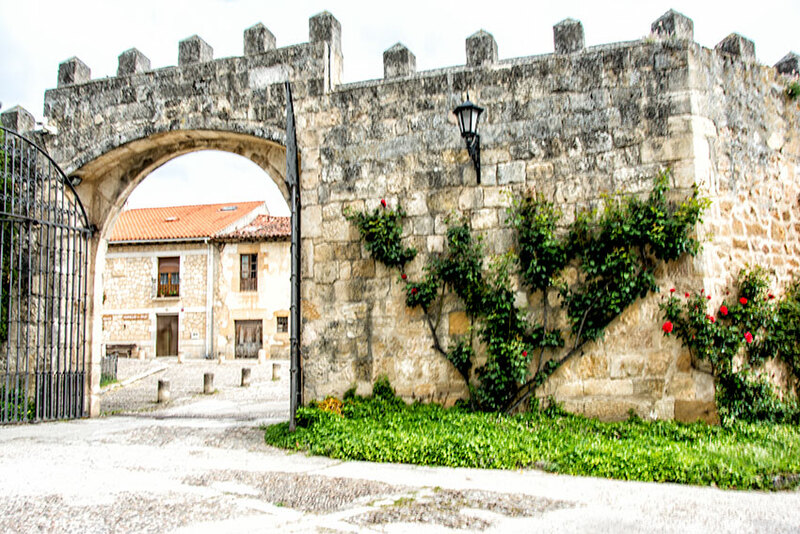 Work commenced in the 11th Century, and when Santo Domingo died in 1073, the work on the the church and the cloister was taken over by Abbot Fortunius. The church was later however the cloisters retain their essence from the original construction. The cloisters are on two levels. There are large capitals with carved scenes, and relief panels. Both are noted as masterpieces of Romanesque art. 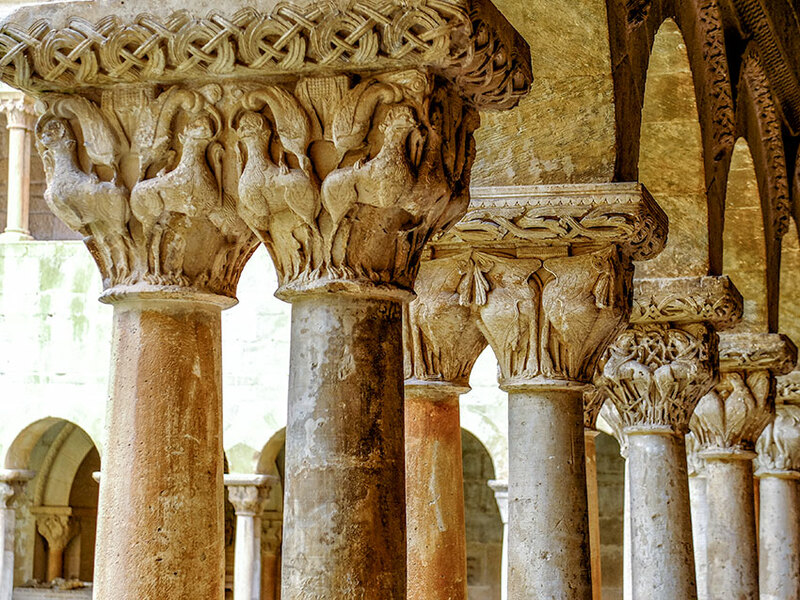 The capitals in the lower cloister are decorated with dragons, centaurs, lattices, and mermaids. 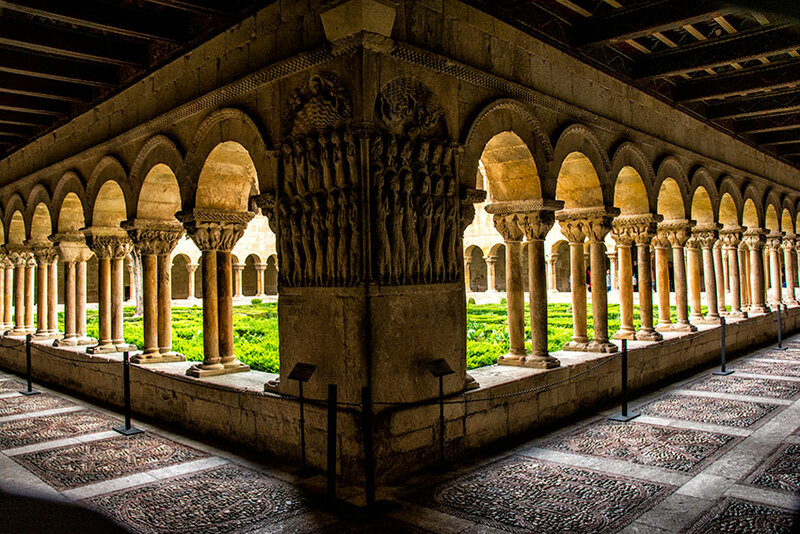 The cloister is an angled rectangular shape with 16 semi-circular arches on the north and south sides and 14 semi-circular arches on the west and east sides. The lower storey was begun during the last quarter of the 11th century and completed in the second half of the 12th century. There is an epitaph of Santo Domingo, who died in 1073, located on the abacus of a group of four capitals in the north gallery. 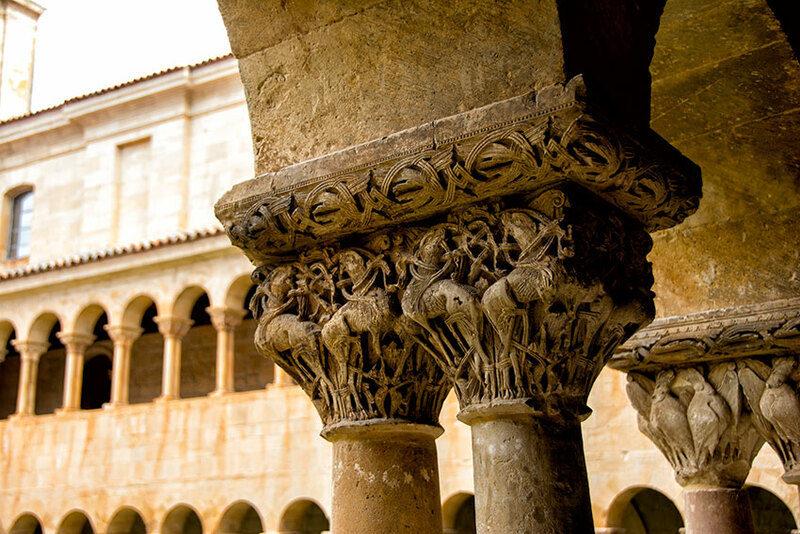 The cloister was dedicated on September 29, 1088. The upper level was placed upon the wooden vaulting of the first story during the 12th century. 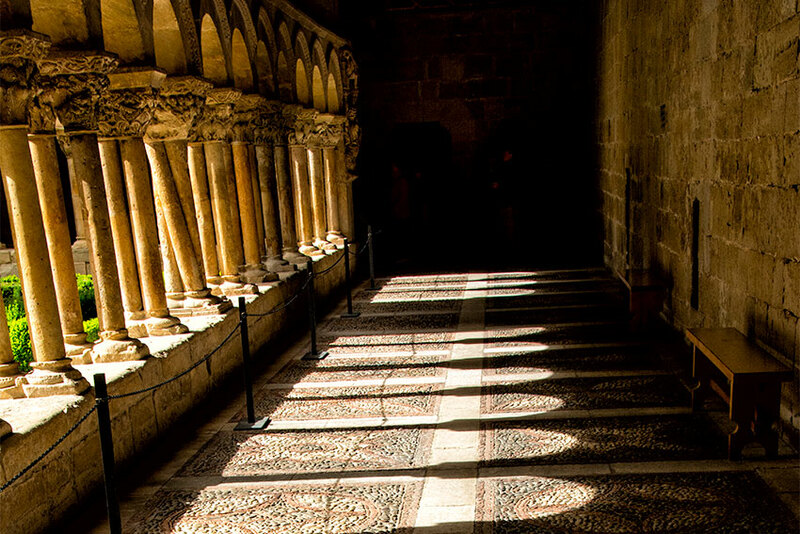 After the north and west galleires were built construction on the cloister haulted due pilgrims coming to visit Abbot Domingo's shrine and political and economic difficulties during 1109 to 1120. So there is a difference style.